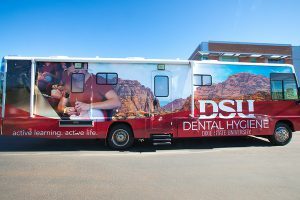 Dixie State University Dental Hygiene Program is pleased to provide dental hygiene preventive services completed on-site inside the Mobile Dental Hygiene Clinic. Our dental hygienist students help with the maintenance of good oral health and patient education in the prevention of dental disease. Our state-of-the-art mobile clinic is fully equipped with four dental chairs, two x-ray machines, and full sterilization equipment. We schedule visits at local elementary schools, the Department of Workforce Services, and the Doctors Free Clinic in the St. George area. The mobile unit operates from a State Primary Care Grant to fund services for those without insurance. Nationwide statistics show that children with painful teeth often have difficulty concentrating because their focus is on their discomfort, not schoolwork. Children miss 12 times more school days due to dental related problems than those who have no dental problems. Dental infections pose a serious threat to a child's overall health and may damage unerupted teeth (permanent teeth). Preventive Services, such as a dental screening, x-rays, cleaning, and fluoride, will be offered during pre-scheduled site visits. 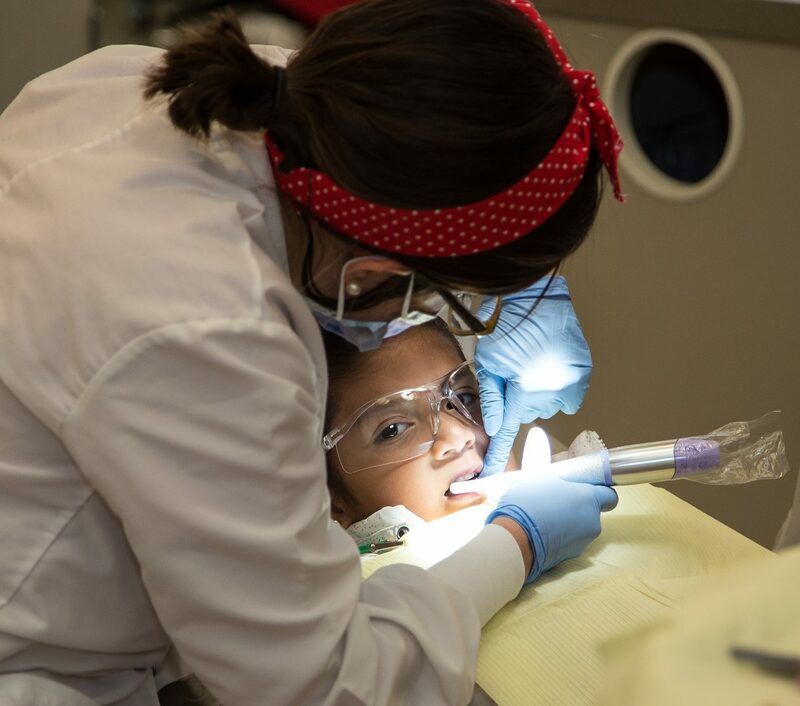 These services will be provided by the Dixie State University Dental Hygiene Students under the supervision of a Registered Dental Hygienist faculty member. A licensed dentist manages and supervises the dental hygiene students. 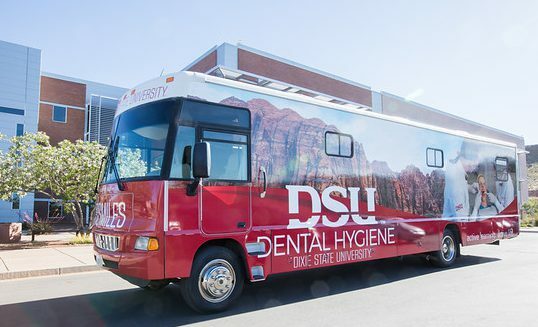 Dixie State University is the only public institution in Utah with a Mobile Dental Clinic helping those with little or no access to dental care. Our primary focus is preventative care and oral hygiene. Limited restorative care is available. Patients may be referred to the DSU Dental Hygiene Clinic or other healthcare professionals based on individual need.